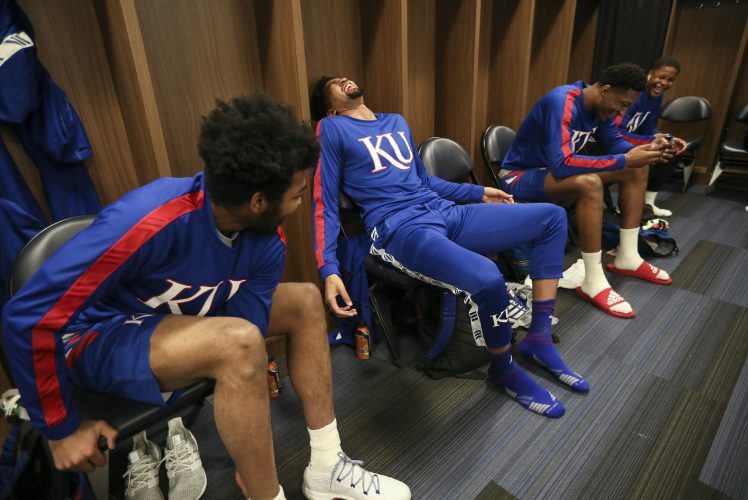 When USA Basketball announced this past March that University of Kansas coach Bill Self would lead the U18 men’s national team at the FIBA Americas championship it seemed fitting one of his assistants this summer would be former KU All-American and Self staffer Danny Manning. 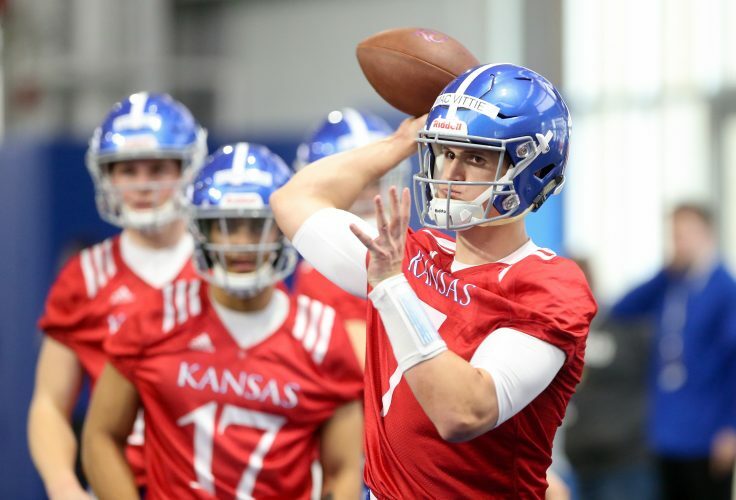 As two of the most popular men in KU’s storied history reunited at the U.S. Olympic Training Center, in Colorado Springs, Colo., just more than a week ago, Manning, too, thought it felt natural. 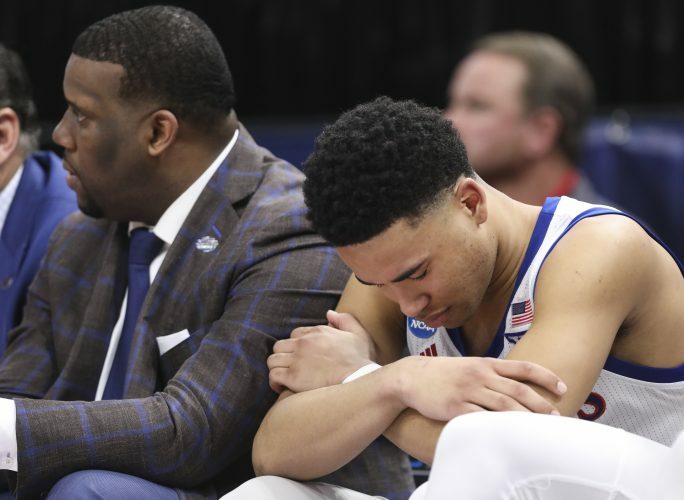 Manning, of course, played a part in both of KU’s two most recent national championships, leading the Jayhawks to the 1988 title as a player and later serving as an assistant on Self’s staff in 2008. 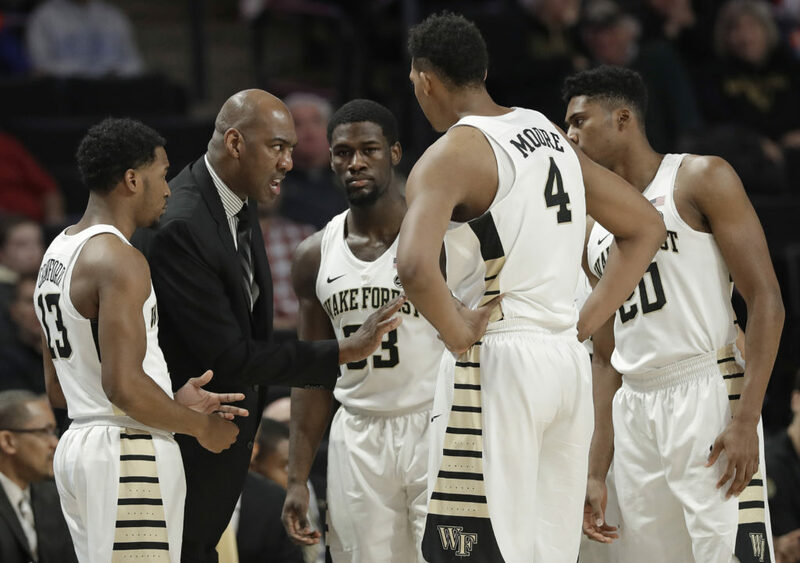 Now heading into his fifth season as Wake Forest’s head coach, Manning credited Self for helping him carve out his post-NBA career path. 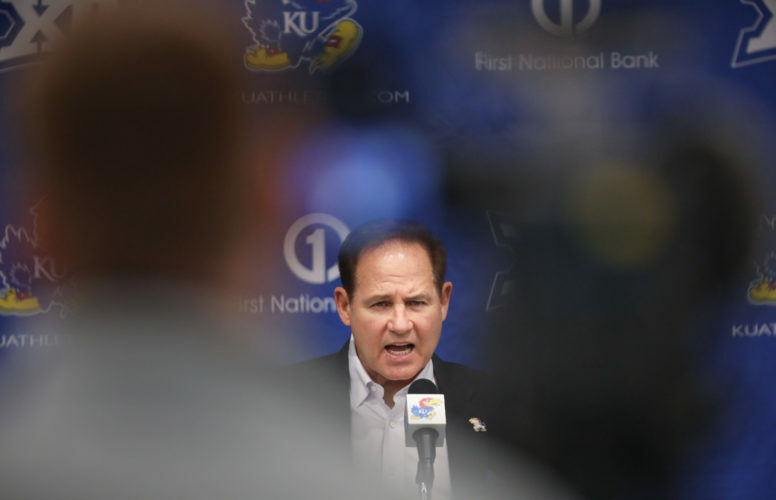 Upon retiring in 2003, Manning first served as a director of student-athlete development and team manager at KU, before Self made him an assistant. “I needed to see this business from the bottom up, see how it worked and see the way guys handled things. 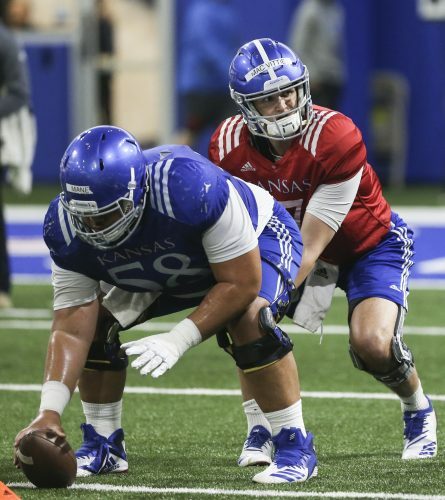 I just wanted to be a sponge,” Manning said of learning from both Self and longtime KU assistant Norm Roberts. 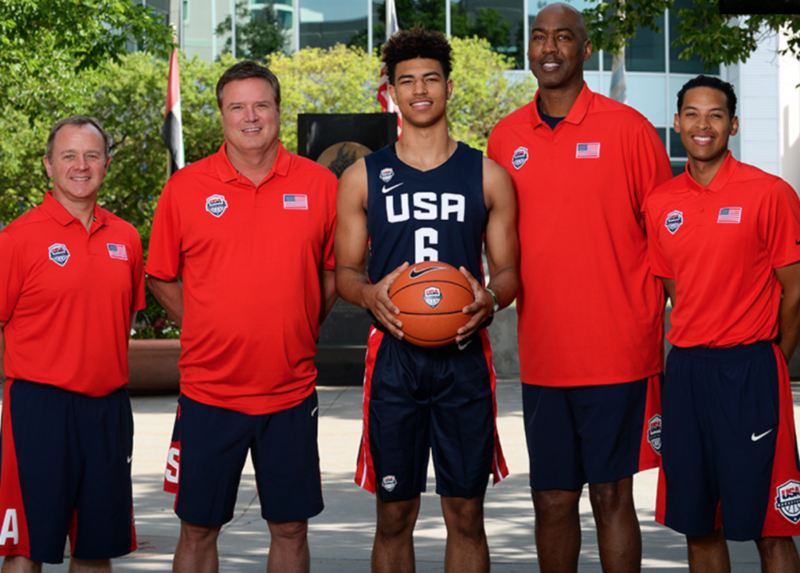 As Self, Manning and incoming KU freshman guard Quentin Grimes head this weekend into preliminary-round play at the FIBA Americas U18 Championship, in St. Catharines, Ontario, Canada, Manning’s past experiences with USA Basketball figure to be an immeasurable bonus in the team’s preparation. The same year that he became the No. 1 overall pick in the NBA Draft, Manning averaged 11.4 points and 6.0 rebounds a game for the U.S. Olympic Team, which won a bronze medal in 1988. Prior to that, Manning was named USA Basketball Male Athlete of the Year in 1987, after posting a team-best 14.6 points and 5.4 rebounds per game for the U.S. Pan American Games Team, which captured silver. A versatile 6-foot-10 forward in his prime, Manning also won gold medals with the 1985 U.S. Olympic Festival North Team and the 1984 USA R. William Jones Cup Team. What’s more, this isn’t Manning’s first time representing his country in a coaching capacity. 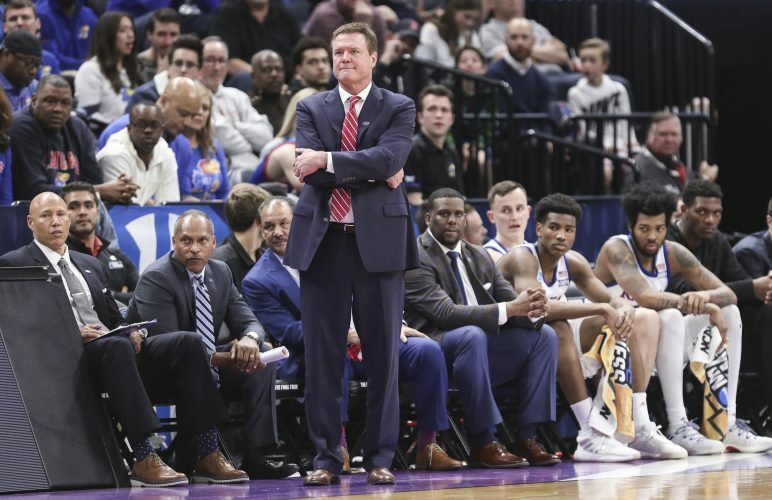 He worked on the U.S. staff that won a bronze medal at the 2017 FIBA U19 World Cup and served as a court coach at the 2014 USA Men’s U18 National Team training camp. So Manning enters the upcoming tournament featuring teams from the USA, Dominican Republic, Panama, Puerto Rico, Argentina, Canada, Chile and Ecuador uniquely knowledgable of all that goes into competing on such a stage. Manning said he, Self and Dayton head coach Anthony Grant (the other assistant on the USA U18 staff) must make their assemblage of talented, young individuals understand what it means to have those USA letters on their jerseys. Team USA opens the FIBA Americas U18 Championship at 5 p.m. CT, Sunday, versus Dominican Republic, with matchups against other Group A members Panama (Monday) and Puerto Rico (Tuesday) to follow. Tournament play begins Thursday, using the results from group play to seed the bracket.